I just made my fourth loan at Kiva. Kiva is an organization dedicated to micro-lending, allowing people to lend money to those living in poverty to help them create a better life for themselves. Lenders can choose from borrowers from around the world in all sorts of professions. I have loaned to two people in animal sales, one woman running a retail store, and the newest loan is a woman in Uganda selling timber. As with any lending site, there is some risk of default, and Kiva does provide some information on that end. They work with various microfinance institutions (otherwise known as field partners) all over the world, and Kiva provides the stats on defaults and delinquencies for each of those field partners. Another big difference to other loans is that you don’t earn interest. That’s right. It’s a loan for the sake of helping someone else. The risk is that your loan doesn’t get repaid, but the reward is that you have helped someone else, and you may have changed their lives. Because this is a lending site and not a donation site, the loans can’t be considered donations for tax purposes. But if all goes well, you do get your money back, which you can again withdraw from Kiva or lend again. So far, I have always re-lended my money, and that’s why I made $100 worth of loans with less than $60. Each month, you receive a partial loan payment from your borrower, and Kiva makes that money available to you on or around the fifteenth of the month so you can re-lend or withdraw. 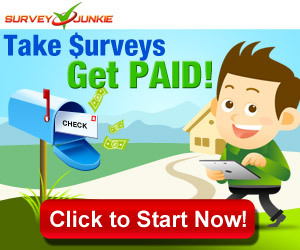 There are people on the site who have made thousands and thousands of dollars in loans. It’s very impressive. But I have to admit, it’s a great feeling to see that I’m helping all of these people. Kiva did get some bad press recently for choosing to make loans available in the United States. I’m not going to provide my opinion on that, but if you don’t like a certain type of loan, don’t loan to that entrepreneur. Choose a different loan in a different country. There are many options available, and it’s hard to choose just one! I love Kiva! I got a $50 gift card to invest, put in some of my own money, and have given around 10 loans. Wow, that’s really great! This is something I’d love to do with my children.